Introduce farm animals with flashcards which contain labels and check the vocabulary with picture flashcards. Vocabulary: cow, goat, sheep / sheep (plural), horse, turkey, hen, goose / geese, pig. Language focus: irregular plural forms. 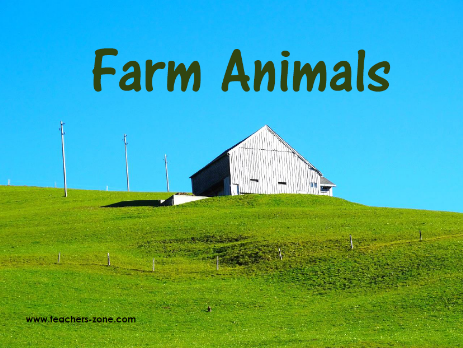 To check the vocabulary use farm animals flashcards without labels.